The National Center for Scientific Research "Demokritos" is situated on the foot of Mount Hymettus at the outskirts of Aghia Paraskevi, a suburb of Athens, about 12km from city center. The Center occupies an area of 600 acres in a nice forest of pine trees. Demokritos is served by the public transportation system, bus-lane B5 which connects the Metro station "Ethniki Amyna" and Aghia Paraskevi. Additionally bus-lane 407 connects Metro station "Katehaki" with Aghia Paraskevi. Demokritos is very close to the church of Prophet Elias, at the intersection of the Neapoleos and Patriarchou Gregoriou streets. You can use the express buses X94 and X95 coming from the airport and get off at the Aghia Paraskevi's square where you should switch to the bus-lane B5. 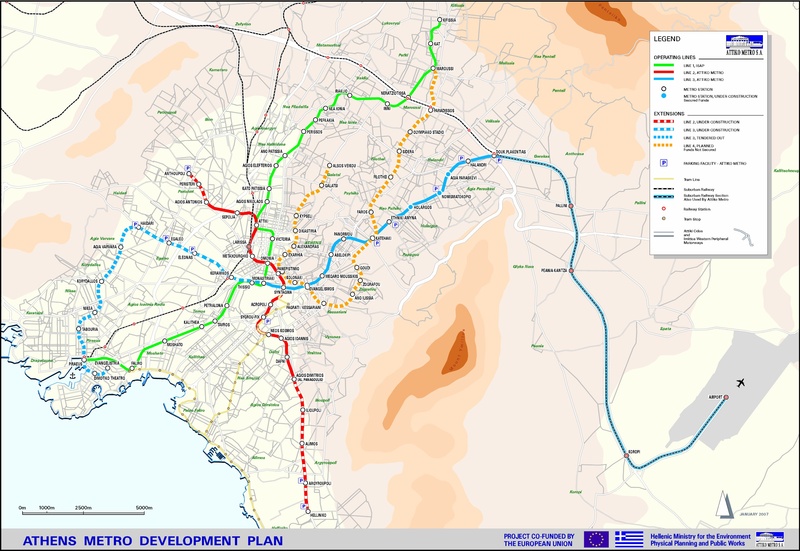 Alternatively, you can get Metro from the airport and get off at the "Ethniki Amyna" station where you should switch to bus-lane B5. You may also come from the airport by taxi. Preferably ask the taxi driver to use "Attiki Odos" and exit at "Y3 Demokritos". Depending on the traffic, it will take 15 - 20 min to reach Demokritos. The taxi fare is approximately 20 € (taxi will not charge per person and all lawful charges should be displayed on the taxi's dashboard). The entrance to NCSR "Demokritos" is controlled due to security reasons. You will be asked to provide a legal personal ID and declare the Lab(s) / person(s) you intend to visit. You will be provided with a temporary Visitor ID, together with a Visits Control Document, where your exact entry time will be recorded by the security staff. Do not forget to ask the person(s) you visited to record the times of your arrival and departure and sign appropriately. Patriarchou Gregoriou & Neapoleos Str.